Rise of the Teenage Mutant Ninja Turtles Movie in Development at Netflix | Nerd Much? We got word back in January that production on a Teenage Mutant Ninja Turtles reboot film could potentially begin at some point this year. But that’s apparently not the only TMNT movie that’s in the works. Nickelodeon Studios has confirmed that they’ve struck a deal with Netflix for the streaming service to produce and air a Rise of the Teenage Mutant Ninja Turtles movie on their platform. The news arose following a first quarter earnings call of Nickelodeon’s parent company, Viacom. Viacom’s CEO, Bob Bakish, was asked why this Rise of the Teenage Mutant Ninja Turtles movie would be available via Netflix and not under one of Viacom’s outlets. Bakish then confirmed that the company expected Netflix’s movie to serve as promotion for the series, and thus, drive some of Netflix’s traffic over to Viacom’s networks for the series itself. This isn’t the only time in which Nickelodeon and Netflix have paired. Nickelodeon Studios currently produces the Netflix animated series, Pinky Malinky. And the pair are currently working together to produce the live action Avatar: The Last Airbender series. It was also confirmed that in addition to the Rise of the Teenage Mutant Ninja movie, Netflix would produce another animated film based upon the Nickelodeon series Loud House. 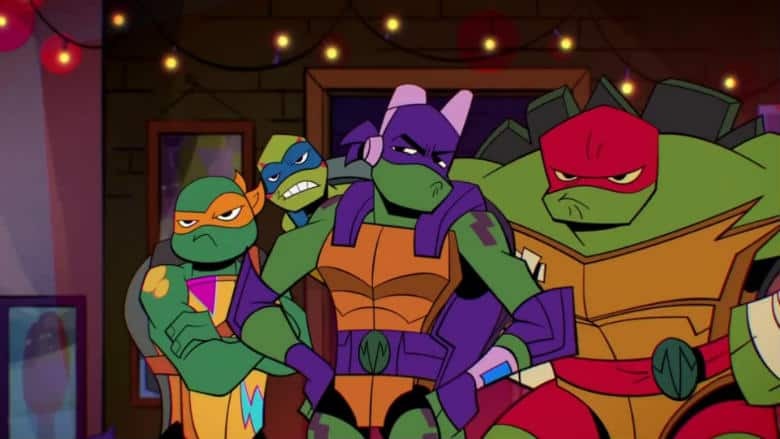 Rise of the Teenage Mutant Ninja Turtles has been airing on Nickelodeon since July and will conclude its first 24 episode season with a finale on February 23rd. The show’s art style and character dynamics have been pretty radically altered from what fans of the series are used to. As such, the series has earned mixed reviews currently sits with a review score of 5.5 on IMDB. A second season consisting of 26 episodes has already been greenlit by Nickelodeon. If the Rise of the Teenage Mutant Ninja Turtles movie does well over on Netflix, expect to see a big jump in rating for the show’s second season run.